1 SPM-Administration & HR Post Graduate Degree/Post Graduate Diploma in HR / Personnel Management / MSW/LSW or Equivalent Rs. 2 SPM-Finance CA/ ICWAI or MBA – Finance or Equivalent. 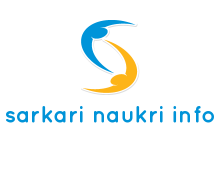 3 SPM- Procurement CA/ ICWAI or MBA – Finance/M. Com or Equivalent. 4 SPM-Capacity Building Post Graduate Degree/Diploma in Rural Development /Social Work/Social Science/HR Management/Personnel Management/LSW or Equivalent. 5 SPM- Communication Master's in Mass Communication or related discipline. 6 SPM-Monitoring and Evaluation Master's / PG degree in Statistics/Economics/Social Science or, PG Degree/PG Diploma in Rural Development /Management/Social work/LSW or related discipline. 7 PM-IT MCA/B.Tech/BCA (computer Science/IT) or equivalent. Rs. 8 Cashier B.Com /Inter CA/ICWA- inter. Rs. Interested candidates should apply online. Last date for receiving online application is within 00.am on 8th April 2013 to 11.59 pm of 25th April 2013.